We offer holiday boarding to animals who have been adopted from our rescue. This helps Auntyanimal financially as we couldn't carry on the rescue and re-homing without this extra income. On an occasional basis we do extend this, when capacity allows, to others looking to board their animals. (*Non-rescue animals will incur a 50% daily surcharge). 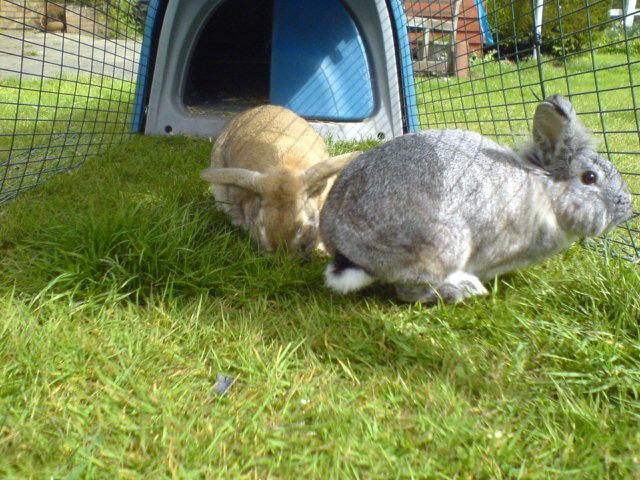 Boarding Fee: From £2.00* per day per animal (No extra charge for 2 animals sharing a hutch/run/cage - each additional animal [above 2 sharing] will incur an additional fee at reduced rate). Fee Payable in full on date of arrival. If you are unable to pick-up your pet on the arranged Departure Date extra day(s) boarding will be incurred and must be paid for at the time of pick-up. * Hamsters/Gerbils/Mice and similar size animals = £2.00 per day in own cage. Food/Water - Food and water is included but we ask that you bring a small amount of your animals dried food so that we can mix it with ours to avoid dietary upset. Branded dry food (either Burgess or Pets at Home) is given to our small animals. If you prefer to provide your own food or your pet has special dietary requirements we can accommodate this. Fresh fruit/veg - Given according to Species/Breed requirements. If your pet has a favourite we'd like to know. Hay - Good quality hay is given (as much as they can eat) according to Species/Breed requirements. Treats - Given occasionally - if your pet has a preference again we would like to know. 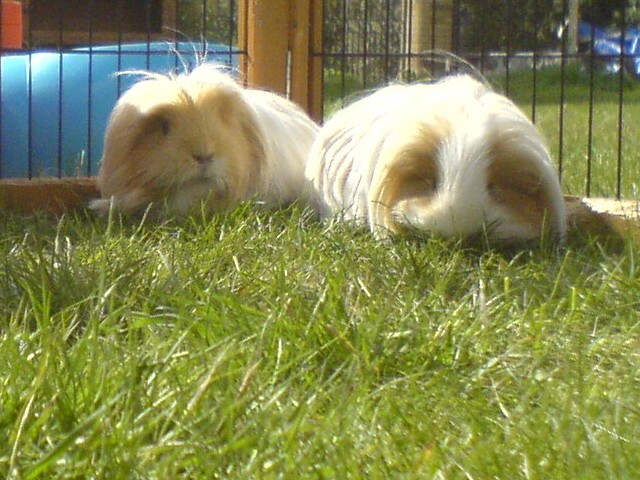 RABBITS and GUINEA PIGS are not shut in hutches 24hrs a day – all animals are given the opportunity to exercise and roam outside of their hutch/cage in a safe enclosed area. Our hutches are spacious and your pet(s) will have room to play. They will also have the opportunity to graze in an individual outdoor run - weather permitting. For safety reasons animals are never allowed to mix or have contact with other boarders. If you prefer to provide your pets own accommodation, arrangements can be made. HAMSTERS, GERBILS, MICE, CHINCHILLAS, DEGUS, CHIPMUNKS, and similar animals will be boarded in their own accommodation which you will need to bring with you. 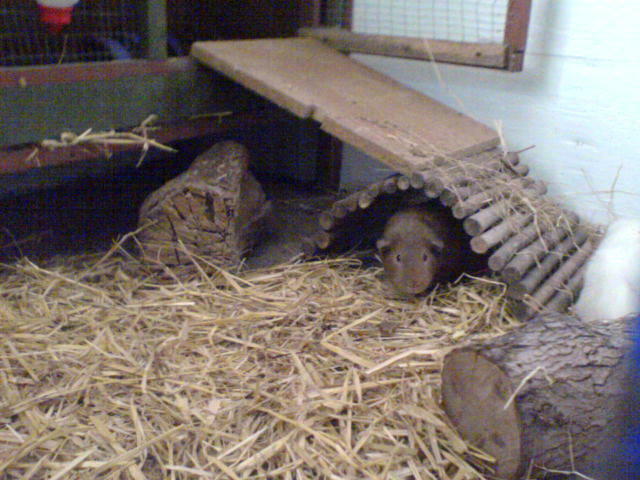 Toys/Stimulation - Our indoor hutches/runs are spacious having toys, logs and tubes to explore and straw to play in. 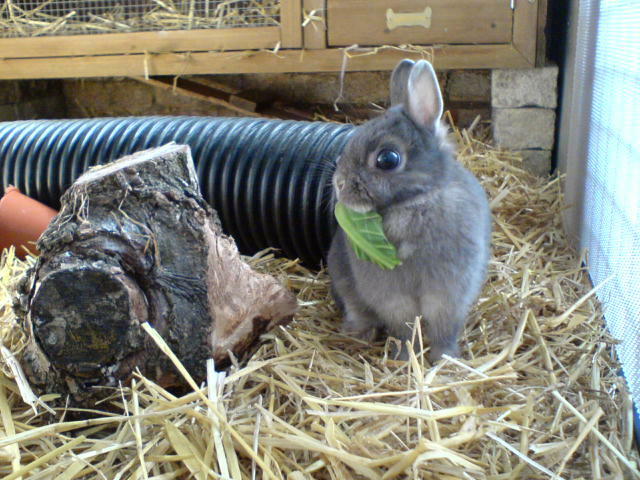 You may like to bring your bunny's litter tray (if he/she uses one) or any toys that will be familiar to them. This will help them settle into their holiday accommodation having familiar things around them. Cleaning - Undertaken on a daily basis to ensure your pet is kept comfortable and clean. Weather permitting according to Species/Breed requirements. Your pet can enjoy nibbling the fresh grass and relaxing outside. Cuddles - AUNTYANIMAL operates 24 hours a day so you can be sure your pet will receive its share of attention. We aim to make your pets stay with us an enjoyable one, so you in turn can have a relaxing time whilst on your holiday knowing that your pet is being looked after by experienced caring people. 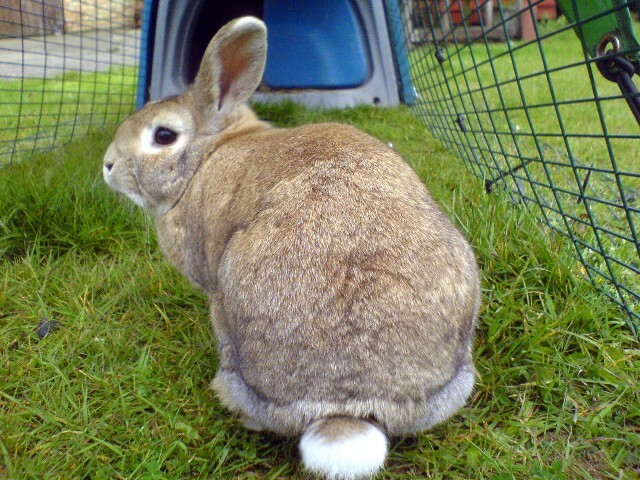 Please Note: It is essential that rabbits have received regular vaccination to afford protection against myxomatosis. A combined vaccination, which is given annually, protects bunnies against both myxomatosis and viral haemorrhagic disease – please discuss this with your vet. YOU WILL BE ASKED TO PRODUCE YOUR RABBITS VACCINATION CARD AS PROOF OF PROTECTION. In the event that your pet falls ill and requires treatment while boarding with us you (the owner) will be liable for any vet fees incurred for its treatment. On arrival your animal will be checked for any sign of illness - if any illness is evident your pet will be isolated and run time may be restricted. In some cases we may reserve the right to refuse boarding. AUNTYANIMAL is unable to accept liability for any consequences whatever resulting from your pets stay and is unable to accept liability for any expenses of any kind arising from sickness developed during its stay or subsequently. 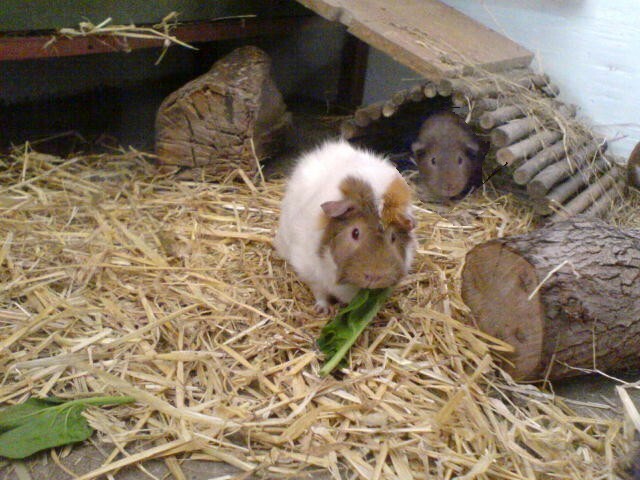 as mornings are our busiest period cleaning and feeding the animals. Please bear with us because taking care of the animals always takes priority over admin.